Colleen Hooper, Ph.D., was recently hired as a visiting artist in the dance department at Point Park University. Hooper is a writer, dancer and choreographer. Her research addresses dance and the politics of representation and she examines the relationship between dance and public space. She was a 2015-16 senior doctoral fellow in the Center for Humanities at Temple University. Her choreography has been presented since 2002 in the United States and abroad. As a performer, she has danced for Red Dive, George Russell, Katherine Kiefer Stark/The Naked Stark, Beau Hancock and MerÃ­an Soto. How do you incorporate your professional experience into your classes? In my dance history courses, I talk to my students about my archival research process and the steps I have taken to publish my research. This helps students understand how interpreting primary and secondary sources can inform their research, performance and choreography. In improvisation class, I share my experience performing improvised movement and training with a wide variety of improvisation teachers. 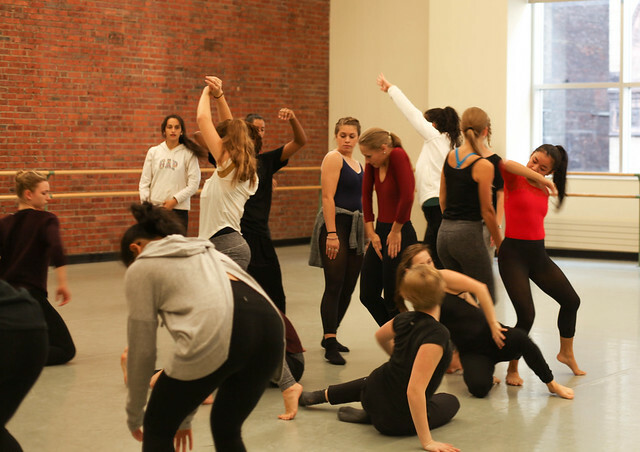 This helps students understand the range of improvisation aesthetics and we make connections between improvisation in dance, music and theater. What lessons have you learned throughout your career? It is important to treat every experience as a learning opportunity. Even if something is not enjoyable in the moment, you can take something valuable away from the experience. Commit to learning how things work in your field and then envision how to improve and expand upon your current situation. Point Park students are disciplined, hard working and ready for a challenge. They are eager to grapple with complex ideas and create connections between concepts. I am inspired when my students help me see a topic in a new way. Through working with students, I often gain new perspectives that help me expand my thinking. Students in my class take a very active role in their learning. I present them with ideas, readings, and performance goals, and I expect them to work individually and collaboratively to understand these concepts and to share their opinions and reflections. Tenacity is one of the greatest indicators of success. In that moment when a project or performance is getting difficult, sticking with it and not giving up will make you successful. By continuing with what you started, you commit to achieving your potential.